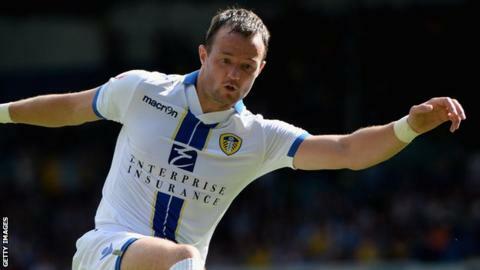 Ipswich Town have signed Leeds United forward Noel Hunt on loan and defender Sean St Ledger on a short-term contract - both until January. Hunt, 31, who will join brother Stephen at Portman Road, has made just one Championship appearance this term. He joined United from Reading at the beginning of last season, but has made just 14 starts. Ex-Preston and Leicester man St Ledger, 29, has not played a competitive domestic match since August last year. St Ledger, like Hunt, is a Republic of Ireland international, and he was released by the Foxes in the summer. "Noel Hunt fractured his back and had some hamstring trouble but he's been fit since March and not had a look in," Ipswich boss Mick McCarthy told BBC Radio Suffolk. "When he's fit he is a real handful and I'm delighted to get him here. "Somebody announced he was on £25,000 a week at Leeds and apparently he can't walk down the street in Leeds because they turn on him. That's not helped him at all. "He's on nowhere near £25,000 by the way. But it's had a detrimental effect on his career."